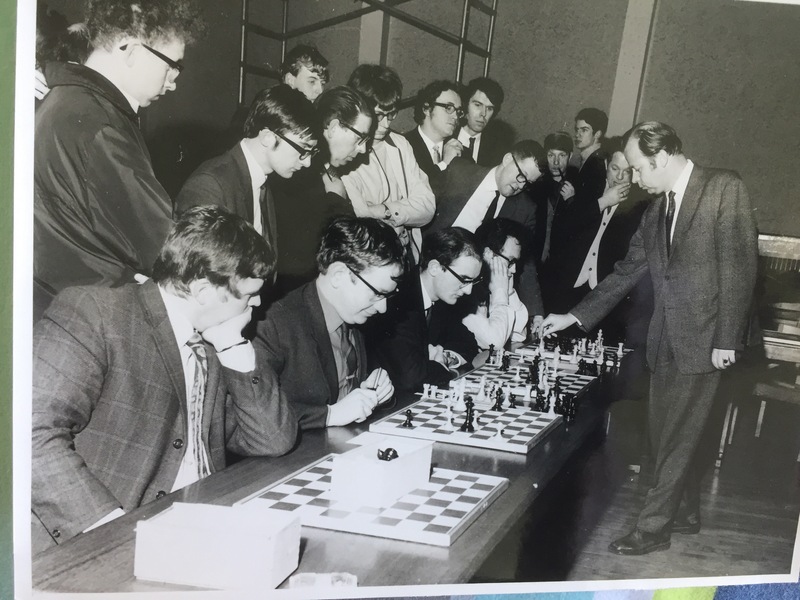 Ulhmann Simul against Liverpool Chess Club on 13th Jan 1971. Pictured seated left to right is Mike Fox, Dave Welch, Griff Parsonage and John Ripley. Liverpool Table winner in 1975 and 1977 Ray Holland is seen standing 2nd from left.